Location: Blain, in the Loire-Atlantique departement of France (Pays de la Loire Region). Notes: Château de Blain (or castle Groulais), is a medieval fortress located in the municipality of Blain, Loire-Atlantique. 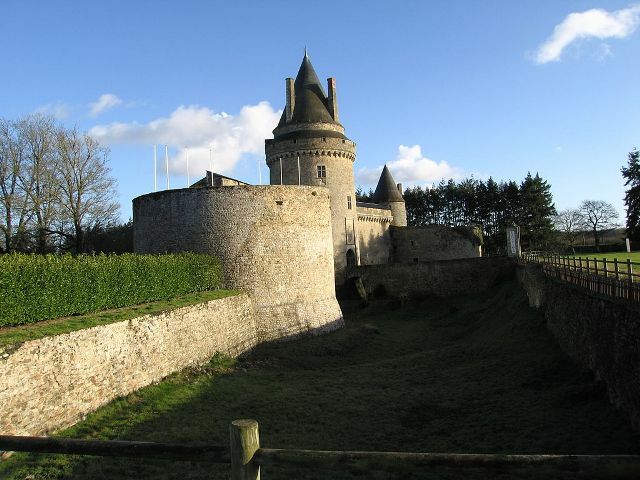 Built in the thirteenth century and significantly modified in the sixteenth century, it was part of the defenses of the Breton border castles Vitre, Fougeres, Chateaubriant, Ancenis and Clisson. This castle is a historical monument.